Lee Pomeroy is a multi-instrumentalist; composer, producer and band member or session bass guitarist for the likes of Headspace, It Bites, Take That, Gary Barlow, ELO and others. 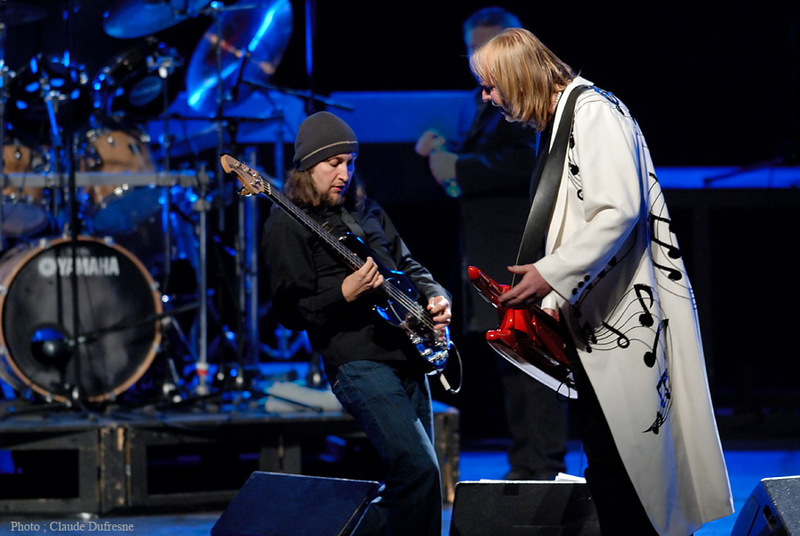 Lee’s work as live performer includes tours with some of the top progressive rock acts in the world, hailing back to classic era stars such as Steve Hackett (Genesis), Three Friends (Gentle Giant), and Rick Wakeman’s English Rock Ensemble. This means that besides his own fabulous compositions, Lee has performed work originally developed by the likes of Michael Rutherford (Genesis), Ray Shulman (Gentle Giant) and Roger Newell (Rick Wakeman) – some illustrious company! He plays the original progressive masterworks from these artists faithfully and with technical mastery, but also with feeling – bringing his own unique interpretation and infectious energy and enthusiasm. Seeing him perform live is a marvelous experience. I reached out to Lee recently to find out more about his work, and what’s coming next for his career. Lee what led to your abiding interest in progressive rock? I think I was drawn to progressive rock because of my two older brothers who used to play records that I would end up hearing and I think it just settled in my brain at a young age. They didn’t only play prog rock though, they’d play heavy rock, pop, reggae, jazz, classical and electronic music too so I grew up liking Bowie, Be Bop Deluxe, Stevie Wonder, The Beatles, The Zombies, Argent, Bob Marley, Genesis, Yes, Gary Numan, Ultravox, The Police, The Jam, Billy Cobham, Steve Hackett, Thomas Dolby etc…..
Last year I was witness to two shows that featured Lee as bassist – the one-off Rick Wakeman charity gig at Cheltenham, where most of Journey to the Center of the Earth and Myths and Legends of King Arthur were played with orchestra and choir. Lee, what can you tell us about that show? Had you been able to play with the band and full orchestra and choir before this? The Rick Wakeman shows in Cheltenham last year were really good fun. We had played with orchestras many times before so it wasn’t a learning curve this time around. I love Rick’s band because we have a real hoot and we play our arses off for two and a half hours. It’s always good fun being out with the ERE. John Noyce did the Six Wives shows in 2011 because I was on tour with Take That so I asked him as he’s a mate and brilliant player who understands that music. He played in Jethro Tull for about 15 years so he was just the right man for the job. In fact he’s now doing the Three Friends gig for me as I’m always away when they’re playing. I recommended him to Malcolm Mortimore and Gary Green and he’s doing an unbelievable job there too. 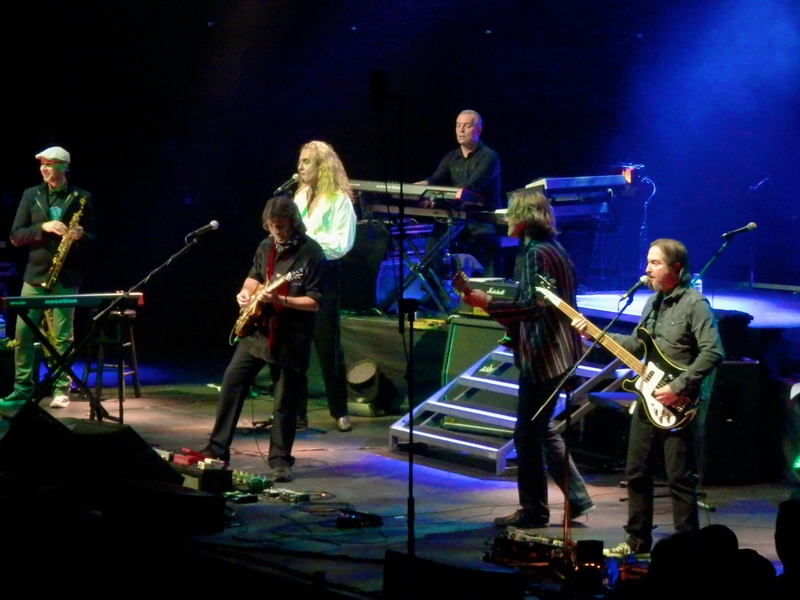 The second concert was as rare – a chance to see Steve Hackett play his Genesis Revisited show at London’s Royal Albert Hall – which is now available on a superb DVD release. Lee brought his chops to the bass, twelve string guitar, pedals and all the rest it took to create the sounds from recordings dating from 1971-1976. Lee, one of the things that stood out for me at that show is how much fun you seemed to be having – do you find yourself being the guy that’s lightening the mood when things get stressful? 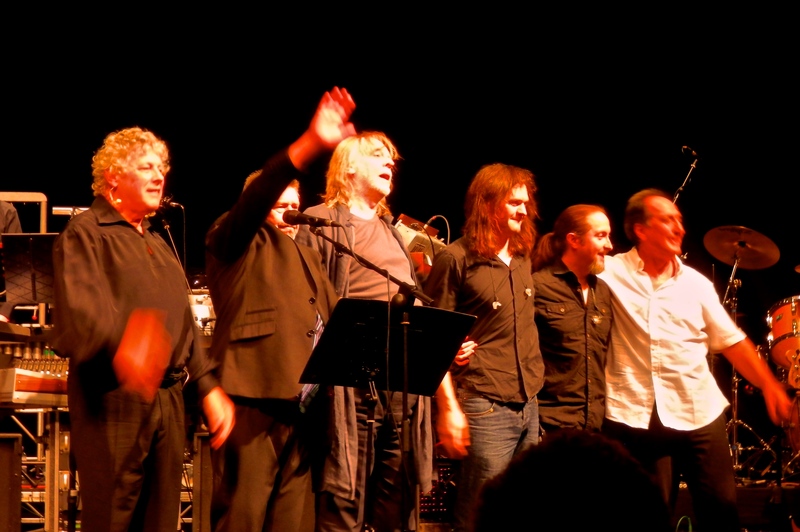 The Steve Hackett tour last year for the Genesis Revisited album was the literally a dream come true for me. Genesis are my favorite band of all time, especially the Gabriel era, so that’s why I had a permanent grin plastered over my face for the whole tour. I was into Steve’s music (Spectral Mornings, Defector, Cured, Highly Strung) before I got into Genesis so to stand on stage with the man himself really was and is a boyhood dream come true. He’s the nicest, most caring person you could wish to meet too – I love him. The whole band are brilliant too, they’re a real clever bunch too so I always come back off tour far more knowledgeable than when I went away. Watching you play Mike Rutherford’s parts, I was struck by their complexity, particularly during the Selling England by the Pound tracks – yet Mike was pretty demure in his autobiography about his skills and this album. What are your thoughts about Mike’s playing on these and other Genesis compositions? I’ve always loved Mike Rutherfords’ playing both on guitar and bass and this took my respect for him to another level. He has the most brilliant independence between his hands and feet so when he’s playing bass pedals he’s also switching in effects and adjusting his volume. In fact I got so good at it that I was able to add in some vocals that he could never get to and I also added in a moving bass pedal sequence that he’s played on the album version of The Musical Box but never did live. I do those things for all of the fans that come along because I’m a fan too and I hope it gives them the same thrill as I get when I’m playing those things. What preparations were needed and what impact did the use of double-necked guitar have for you – was this a new feat? The double-neck was a real challenge but it was a challenge I’d wanted all my musical life and I leapt at it with all guns blazing. When you have to play bass then switch to 12-string all while playing bass pedals and sometimes even singing you expand your own abilities massively, so now it’s not such a hardship to come back to. It’s almost like a dance that you learn: switch that switch and play that pedal note, turn the volume down while still playing bass pedals then sing that bit while switching back to bass!! It’s crazy bit it’s fantastic fun. I know you played for a time with Three Friends (former members of Gentle Giant) but there is scant information available about their activities. What are your thoughts about playing in their style and for those shows? Three Friends is a great band to play in. Gentle Giant are another of my favourite band and Ray Shulman is one of the most gifted bass players I’ve ever heard. His timing and his accuracy are second to none and he can play things on bass that leave you scratching your head and wondering how on earth did he do that. Gary Green is another wonderfully gifted player who has a childlike playful energy on stage that’s so infectious that it fires you up. He’s another lovely man who just is so warm and friendly but also really funny. I hope to do some more shows with them at some point but I’m not sure when that’ll be. 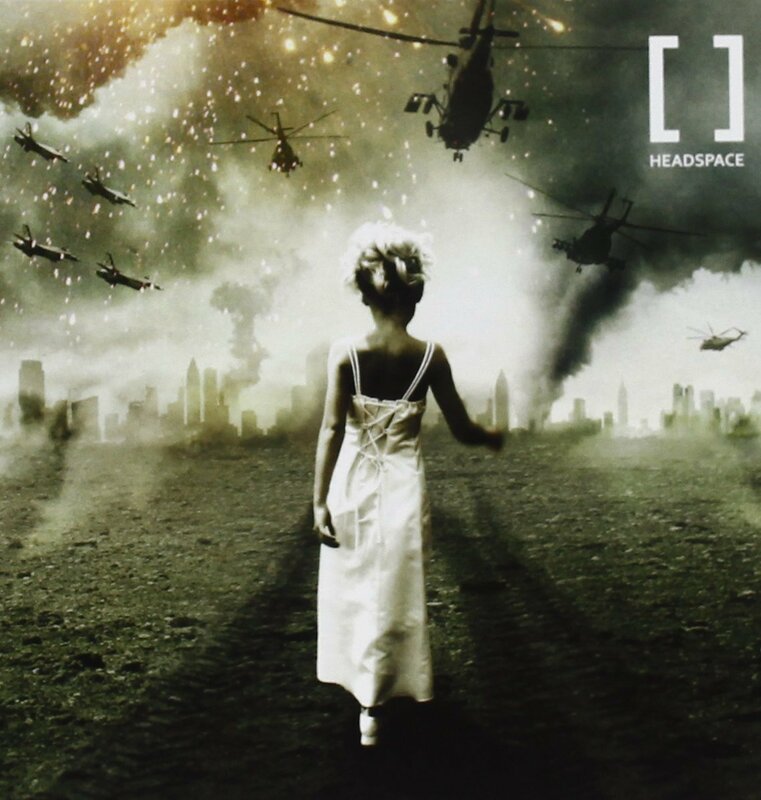 Headspace is a progressive metal band with Lee along with Adam Wakeman, Damian Wilson (Landmarq/Threshold vocalist), Pete Rinaldi (bass) and Rick Brook (drums). They release an EP followed by a debut album I Am Anonymous in 2012. The music is textured and dense, highlighted by tight metal riffs and Damian’s clear sustained vocals. Headspace is a band I’ve been in since 2005 and it’s great fun to play with those guys. I got to know Adam Wakeman in 2000 when he was producing and playing on a Yes tribute record and a mutual friend of ours recommended me as a bassist because I knew all of the Yes material. He called me and we got together and started working and got on like a house on fire. He then recommended me to his dad Rick for a tour and that’s how I got started with Rick. Headspace came about in 2005 when Adam worked with our guitarist Pete Rinaldi and asked him about putting a band together. Pete said yes and then Adam called me, Damian Wilson and Richard Brook to see if we wanted in as we’d all worked together with Rick. And that was it. The lads in the band are such a laugh and we spend more time laughing and taking the mick out of each other than we do rehearsing. What was your experience with Headspace when they toured opening up for Ozzy Ozbourne? The Ozzy shows in 2007 were great fun. We’d just released an EP entitled ‘I Am…..’ and wanted to promote it. Adam Wakeman plays with Ozzy and with Black Sabbath and when Sharon Osbourne heard our music she invited to come and open three UK shows. It was Ozzy, Black Label Society and us. We were on first but the audience each night didn’t know that we were on the shows. So when the lights went down the crowd began to cheer because they thought Black Label Society were coming on. When we walked instead there was a chorus of “Who the $#%& hell are you?!? !” which was a bit nerve-wracking!! We soldiered on though and eventually they started to listen to us and we gained quite a lot of new fans from those shows. In Dublin, they were throwing 1 euro coins at us at the start of the gig. These were smacking into our guitars and bouncing off but at the end of the gig they gave us a massive applause, plus we earned about 50 euros as a tip! We are in the process of making a follow up album to our ‘I Am Anonymous’ album of 2012. It should be out early in 2015. 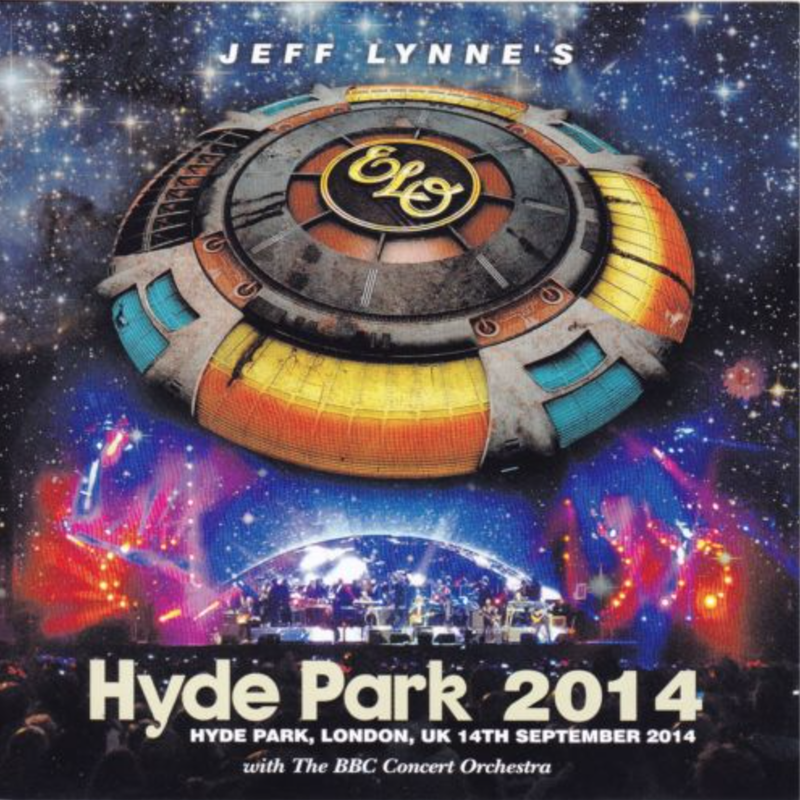 BBC Radio 2’s “Festival in a Day” was held in Hyde Park on 14 September 2014, and Lee played bass backing Jeff Lynne’s ELO with the BBC Concert Orchestra with Gary Barlow’s band. 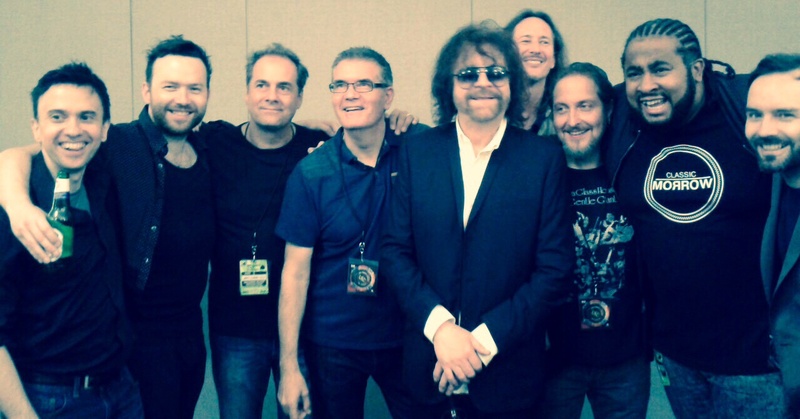 There are now rumors that Jeff will agree to stage an ELO tour in 2015. 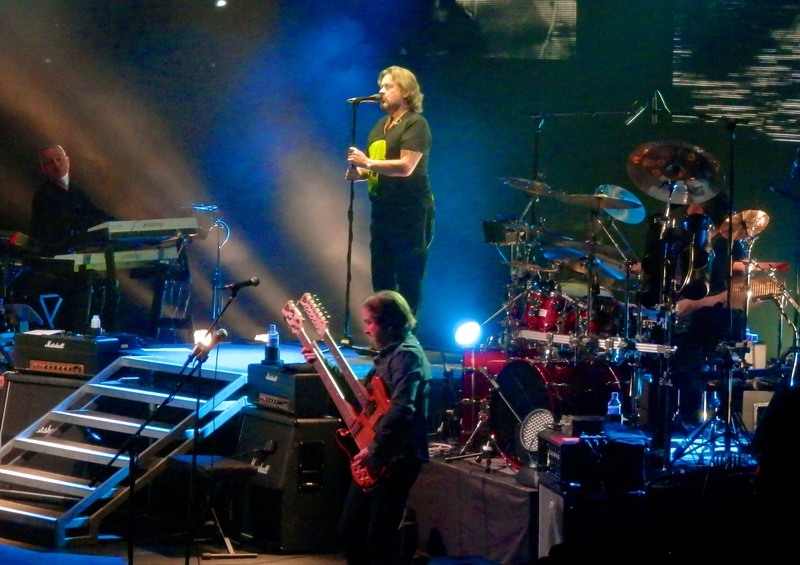 Lee – what can you tell us about the ELO show and the potential for a tour? The ELO show was absolutely incredible. The whole band were all huge ELO fans so we were completely wallowing in the glory of that music. It was one of the best gigs I’ve ever been a part of and the crowd were so full of love for Jeff that we could really feel that energy coming toward us. I’ll never forget it. In terms of an ELO tour, nothing has been said as yet so I guess it’s just wait and see what Jeff wants to do. I do know he had a great time though and he was really floored by the crowd reaction. 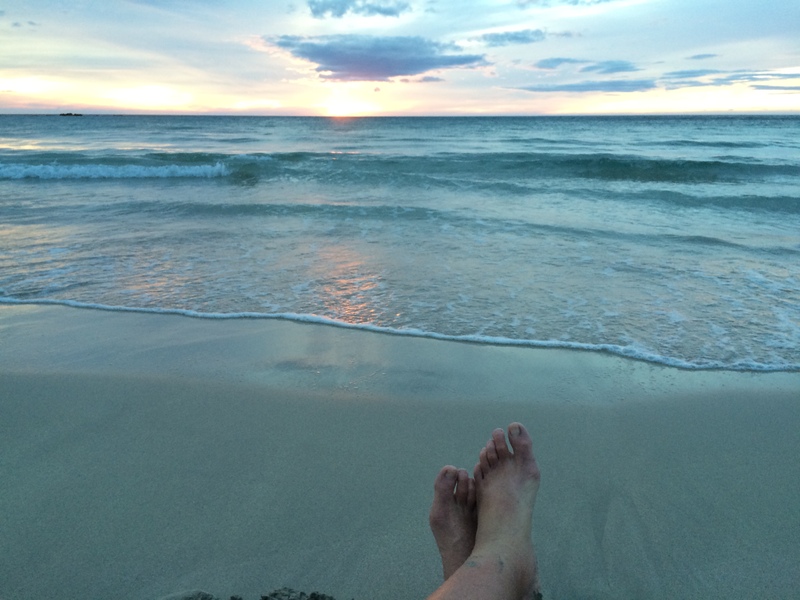 What’s up for you as we close out 2014 – what do you have booked? I’m currently rehearsing with Take That again for a promo for their new album that is released next week. In 2015 I shall be doing a very big Take That tour – 37 British shows and then off to Europe and other places. The Take That shows are a real spectacle. Incredible lights and special effects, loads of dancers and set changes and even the odd 50 foot tall crying robot or giant elephant! So it’s more of a multi-media spectacle than a gig. Gary’s tour is a proper gig where as Take That is a show. 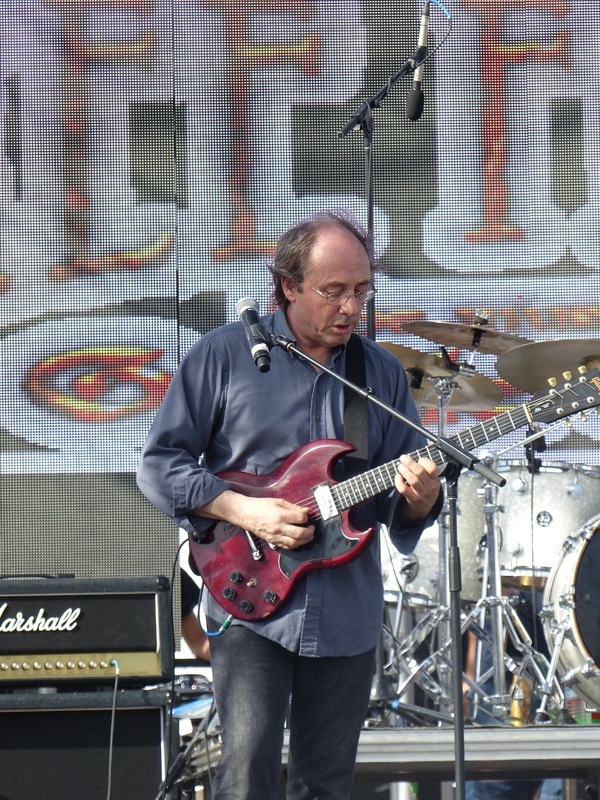 I’m also stepping back into the Hackett band in February for some South American dates. Here’s hoping for more chance to see Lee this coming year plying his trade as one of our most prolific and accomplished musicians.